Launched last month, Alex Steinherr's collaboration with Primark has caused a big buzz in both skincare guru circles and amongst budget-conscious beauty shoppers. But is it any good and which products are worth trying? Alex Steinherr is a well-known beauty journalist, and many of you will know her from her former job as Glamour's Beauty Editor. She has amassed over 184k followers on Instagram alone, and I had the pleasure of meeting her at a blogger event a few years ago (she was so nice!). This woman loves her skincare and even back then, lots of people were talking about whether she was going to bring out any of her own products in the future. 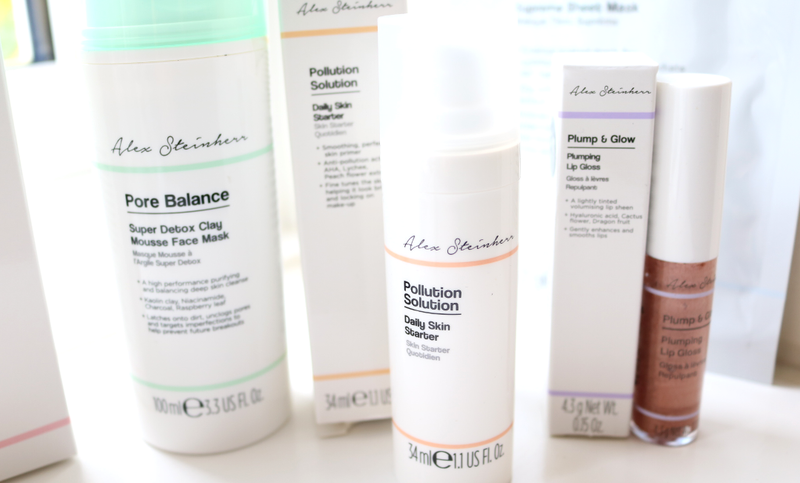 Well, after two years of research and development, Alex has created a skincare range with Primark which I must admit surprised me, as she's better known for creating sponsored ads for luxury brands such as La Mer and Elizabeth Arden. Although it seems like a strange fit at first, Alex wanted to create a high street skincare range which was affordable and accessible to everyone. In addition, all of the products are fragrance-free, cruelty-free and don't contain any animal derived ingredients, so they're suitable for vegans to use as well - nice one Alex! 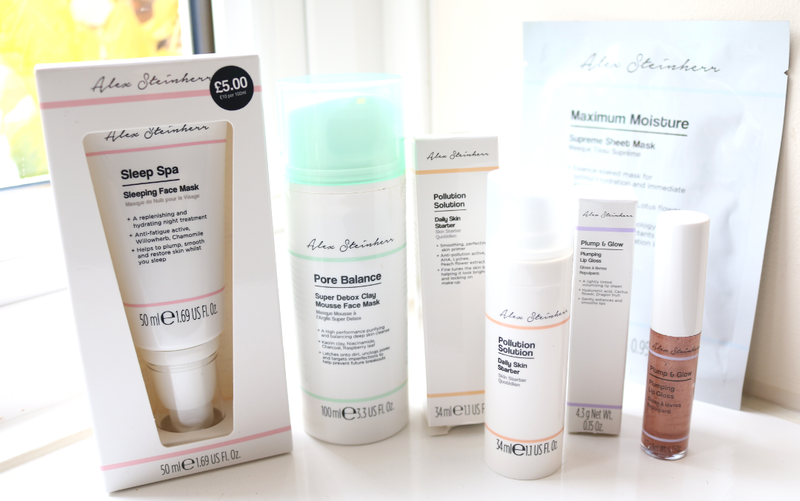 The 20 piece skincare collection features some of Alex's favourite active ingredients such as Hyaluronic Acid, Squalene and Niacinamide, and instead of focusing on traditional skin types, the collab is split into five different ranges based on your skin's 'needs' instead, such as Maximum Moisture, Pore Balance, and Plump & Glow etc. This allows you to mix and match everything to create your own skincare routine and with prices starting from £3, with nothing over a fiver, I was keen to see what they were like. I managed to get my hands on five products to try out, so here are my thoughts. 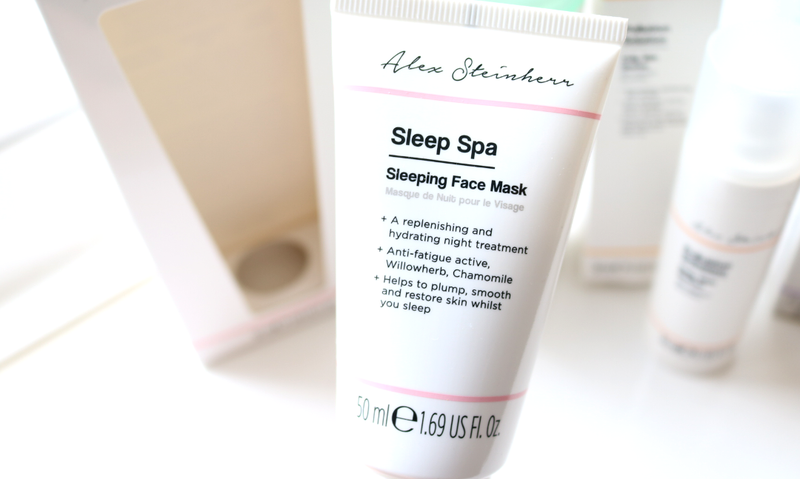 With the weather turning colder, I've been reaching for a lot more moisturising products to use in the evenings, and the Sleep Spa Sleeping Face Mask caught my eager eye. Although it's described as a face mask, think of it more as a hydrating cream/treatment that you leave on overnight. It contains Hyaluronic Acid, Willowherb and Chamomile extract to moisturise and revive tired and stressed skin, but there's also Dimethicone which is higher up in the ingredients list, and I strongly suspect it's this that gives the mask its silky feel on the skin. I also sadly suspect that it may be the cause of a lot of clogged pores that I started to get after using this mask just twice a week, as I generally avoid silicones in my skincare, so if you're the same, you may want to give this one a miss. The Pore Balance range is an interesting one that my fellow oily/combo skin ladies will enjoy, and I'm happy to say that I got on with the Super Detox Clay Mousse Face Mask a lot more than the Sleep Mask above. Enriched with Kaolin Clay, Charcoal, Niacinamide and Raspberry Leaf, it promises to purify and balance the skin, whilst also unclogging pores and helping to prevent future breakouts. The pump dispenses a greyish-green coloured mousse that feels much lighter than traditional clay-based masks and was easier to spread onto the skin (2-3 pumps was enough for my whole face). It was fully set within around 20 minutes and wasn't a hassle to remove. My skin felt very clean afterwards with no redness or irritation, though I did notice that it wasn't as powerful at drawing out impurities as some other masks that I use, it still did a great job for this price point. Daily Skin Starter from the Pollution Solution range is a primer that contains AHA (Lactic Acid), Peach Flower and Lychee extracts, and these work together to create a brightening, smooth and supple canvas for makeup to adhere to. It also has something called 'an anti-pollution active', but it doesn't go any further to mention what this actually is on the packaging? 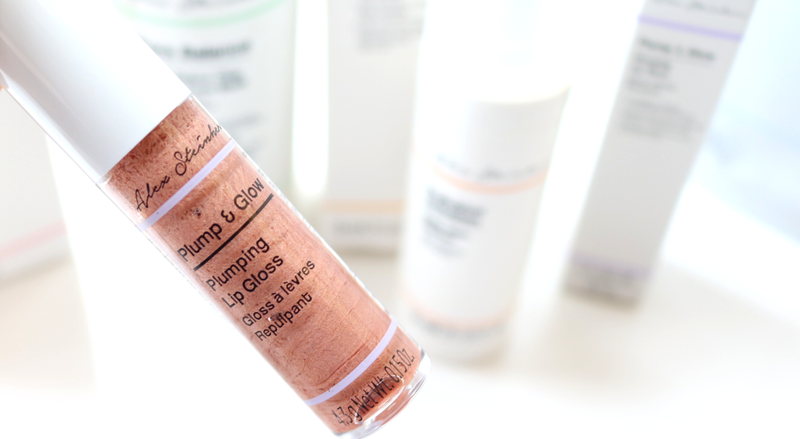 Anyhow, as a makeup primer it works very well and kept my makeup looking fresher for longer, so if you're in the market for a budget-friendly primer, Daily Skin Starter is definitely one to check out - it's a real bargain at just £5. For an enviable pout just like Alex's, the Plump & Glow Plumping Lip Gloss is a quick and easy way to subtly achieve bigger lips. Formulated with key ingredients such as Hyaluronic Acid, Cactus Flower and Dragon Fruit extracts, this gloss glides on smoothly and has a gorgeous tinted sheen to it which makes the lips look younger, fuller and juicier! It does have a tingling sensation when you first apply like like most lip glosses of this nature, but I didn't find it irritating or bothersome, and I loved the overall effect. 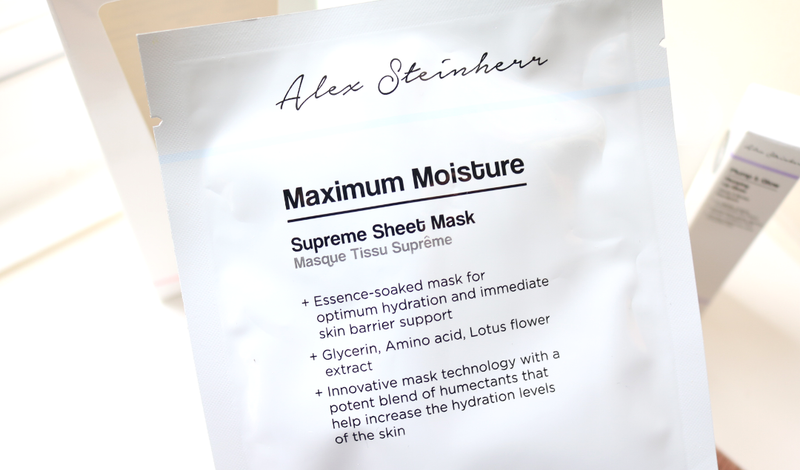 Last but not least, I was very keen to try the Maximum Moisture Supreme Sheet Mask because it's been hyped as the 'jewel' of the whole collection, and is apparently Alex's personal favourite product. The mask features 'a potent blend of humectants that help to increase hydration levels in the skin', which sounds great, but the ingredients are a bit disappointing with silicones cropping up again. There are some good ones though such as Glycerin, Amino Acids, Red Algae and Lotus Flower extracts, and I liked how the mask was completely soaked in essence as some cheaper brands can be on the dry side. My main bugbear though? It just didn't really do anything for me. My skin felt very soft immediately after I removed it and massaged in the rest of the essence, but 30 minutes or so later, it reverted back to its original state and it felt like I hadn't used anything at all. Strange! From the products I've tried above, I've found some hits and misses, as is often expected from such a large budget-friendly skincare collection. I love the fact that it's cruelty-free, fragrance-free and suitable for vegans, but I was hoping that some of the formulas would have slightly better ingredients for general skin health. However, if you fancy trying out some of the products, everything is cheap as chips so if something doesn't work for you, it's not the end of the world (or your bank balance!). Find Alex Steinherr's collection exclusively in selected Primark stores. Will you be buying Alex's collection? Interesting - like you I was surprised by this collaboration given the limited amount I knew about Alex's personal 'brand'. I do think it's cool that cheaper brands are getting into the nitty gritty of skincare - focusing on the effective ingredients rather than using pretty packaging and buzzwords to sell products, but as you said, it's a little disappointing to think that the good stuff like the AHAs and antioxidants are floating around in silicone. Let's face it, we have brands that show how easy it is to create stable, effective formulas at a reasonable price, so there's no excuse. I'll still give some products a try though, I'm definitely intrigued by the mousse mask!